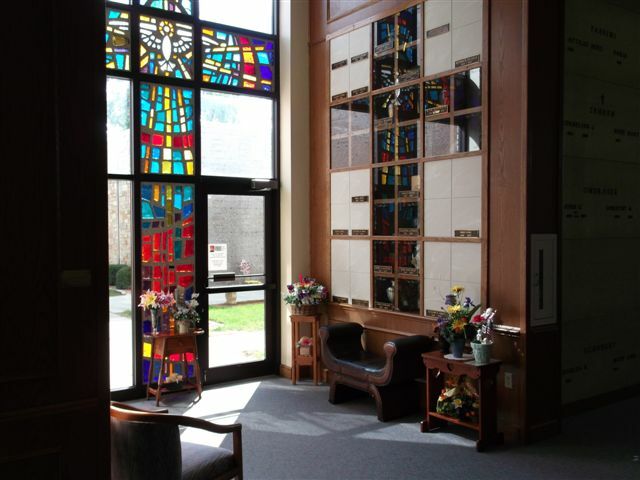 Our Newest Venture is our BEAUTIFUL INSIDE CHAPEL NICHES! 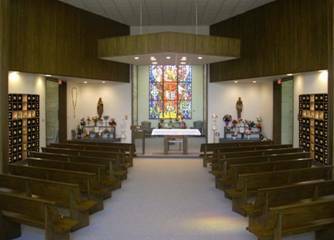 These niches are located INSIDE the Chapel, have a Clear Glass CROSS Front & Smoked Glass Fronts they are built for a single OR two cremation remains in a single unit. These NEW niches have a price of $2797.00 for two in one unit. Inurnment of cremains $225.00 ea., Bronze Plate $225.00 ea. Please call Judine @ 920-923-2202, or Cell 920-517-3201 or e-mail calvaryfdl@gmail.com. Let me give you a no-obligation tour, personal folder, answer all questions you may have, and explain all burial options to you. PAYMENT PLANS AVAILABLE @ 0% INTEREST! 686 Fond du Lac Ave.